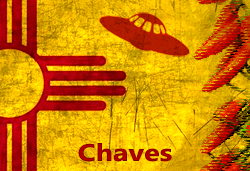 Looking for a job in Chaves County New Mexico? This Chaves County New Mexico job guide is a resource for job seekers looking for legitimate employment opportunities in the region with an emphasis on government positions, top healthcare employers, public school careers, and major job boards. Leprino Foods Company is a world leader in innovative dairy food ingredient manufacturing. Here you will frequently find employment opportunities such as Whey Lactose Dryer Operator, Internships, Whey WPC Dryer Operator, Warehouse M&R Mechanic, Production Worker, Cheese Sanitation Operator, Production Supervisor (Processing), Production Supervisor (Cheese), Maintenance Mechanic, and Utilities Engineer / Manager. The Krumland's have six state-of-the-art dealership facilities in southeastern New Mexico, specifically in Roswell and Carlsbad. Open positions may include jobs such as Sales Representative, Lube Technician more info, Service Advisor, Porter, Service Technician more info, Certified Technician, Service Detailer, and Accountng Title Clerk. Dean Baldwin Painting is an aircraft painting company committed to providing our customers unsurpassed quality and dependable return to services times at competitive prices. Dean Baldwin Painting hires for positions such as Aircraft Inspectors, A&P Mechanics, Aircraft Mechanic Manager, Painters, Painters Helpers, and Stock Room Clerks. Whether you're looking for part-time or full-time, Pioneer Bank has a variety of positions available. Home Depot offers a variety of training courses, leadership programs, mentoring programs, promotion opportunities and tuition reimbursement to associates at all levels of the company. Benefits include regular merit increases based on performance, paid time off and vacation, Tuition Reimbursement, 401(k) Savings Plan, and Employee Stock Purchase Plan. First American Bank had been hiring for the positions of Bank Teller, Credit Analyst, and Mortgage Originator. First American Bank offers a competitive compensation package. Check for new listings. Albertson's Market is a part of The United Family so career opportunities are listed on their site. Here you may find employment opportunities such as Pharmacy Tech, Produce Clerk, Night Stocker, Butcher Block Clerk, General Merchandise Clerk, Service Center Clerk, Food Service Clerk, Checker, Courtesy Clerk, Stocker, and Asset Protection Officer (Security). Christmas by Krebs may have opportunities. Use their contacts page to inquire about open positions. Sam's Club associates earn competitive wages plus enjoy access to health and education benefits. Kmart is a part of Sears Holding Corporation. During review there were open positions posted for the following: Pharmacist, Customer Service Associate, Cashier, Pharmacy Manager, and Service Technician. Family Dollar store opportunities offer a wide variety of positions from customer service to managing multiple store locations. Dollar General offers competitive base pay, annual bonuses, vacation time, 401(k) Savings and Retirement Plan, multiple comprehensive health plans, EAP, and more. Chaves County is a good resource for browsing ongoing employment opportunities. During review there were open positions available that included Detention Officer and Road Maintenance Worker. Visit the county jobs page frequently for updates. The City of Roswell posts employment opportunities. Openings found had included Bailiff, T.S. Vehicle Operator, Automated Collection Operator, Deputy City Attorney, Library Director, Maintenance Worker, PSA, Lateral Police Officer, and Police Recruit. Check for updates. Lovelace Regional Hospital is committed to offering Roswell and Chaves County residents the highest quality patient care. Lovelace Regional Hospital Roswell had job openings such as Pharmacist, Patient Care Tech, Primary Care Physician, General Surgeon, Registered Nurse (RN) Pre~Op Sign on Bonus $15,000, Registered Nurse (RN) L&D/Neonatal, RN L&D (PRN), Registered Nurse (RN) Intensive Care Unit (ICU) Full Time, Charge Registered Nurse (RN) Medical / Surgical (MED/SURG), Physical Therapy Assistant, Medical Technologist, Occupational Therapist, RN Childbirth Educator (PRN), Registered Nurse (RN) Emergency Department (ED) PRN, EVS Tech (Temporary), Sterile Processing Tech, Surgical Scrub Tech, Post~Anesthesia Care Unit Registered Nurse PACU RN, and Maintenance Tech. Eastern New Mexico Medical Center is a 162-bed facility with complete inpatient and outpatient care. Open positions available may include Cath Lab Technologist, Charge Nurse-Cath Lab, Registered Nurse Cath Lab, Registered Nurse ER PRN, Clinical Dietitian, Dietary Aide PRN, ER Tech II, Registered Nurse RN Cath Lab, Registered Nurse/CCU PRN, Registered Nurse ER PRN, Registered Nurse-PEDS, ER Tech Paramedic (FT), Lead Mammographer RT (R)(M) ARRT, Medical Lab Tech, Pediatric Nurse RN, Monitor Tech/C.N.A FT, Outpatient Physical Therapist, Quality Improvement Analyst, RN QM-Core Measures Abstractor/Auditor, Radiology Director, Registered Nurse RN CCU, Registrar ER PRN, Staff Registered Nurse OR PRN, Staff Ultrasonographer PRN, Staff Ultrasonographer PRN, and Ultrasonographer. Community Homecare posts job opening on the right side of their employment page. During review there were open positions for Registered Nurse RN, Licensed Practical Nurse LPN, and Home Health Aide HHA. Mission Arch Center is a part of Genesis. Genesis HealthCare is ranked among top providers for overall satisfaction and quality health care. Genesis HealthCare frequently recruits Certified Nursing Assistants / CNAs. Other positions may include Personal Care Assistant, Social Services Specialist, Center Executive Director, Registered Nurse $7,500 sign on bonus, Licensed Practical Nurse $7,500 sign on bonus, and Occupational Therapist. Sunset Villa Care had employment opportunities for the positions of Assistant Director of Nursing, Registered Nurse RN, Licensed Practical Nurse LPN, Certified Nursing Assistant CNA, and Certified Nursing Assistant CNA Weekends - Sign on Bonus! Casa Maria offers customized care plans designed to meet specific needs of residents to include 24-hour nursing care, Daily activity and enrichment programs, Infusion therapy, and Nutritional and dietary support. Employment listings often include jobs such as Dietary Manager, Certified Nursing Assistant CNA, Registered Nurse RN, Dietary Cook, Registered Nurse - Unit Manager RN, and Licensed Practical Nurse LPN. Comfort Keepers periodically hires Caregivers in Roswell. Caregivers prepare meals, help with household chores, and assist with personal needs. Peachtree Village Retirement Living in Roswell, New Mexico is a beautiful and intimate senior living community located in a rural setting in Roswell. Brookdale Country Club is a premier senior living community in Roswell, New Mexico. Roswell Independent School District employs more than 600 licensed personnel. Including the support personnel over 1,200 employees serve the needs of more than 9,300 students. A survey of open positions found included Groundskeeper, Teacher Grade 3, Teacher Grade 5, Social Studies Teacher, SPED Teacher, SPED Assistant Preschool, SPED Resource Teacher, Assistant Basketball Coach, Teacher On Special Assignment (TOSA), SPED ED Teacher, SPED Educational Assistant, 1st Grade Teacher, 7th Grade Girls Basketball Coach, Educational Assistant ISS, Grade 1 Educational Assistant, PE Teacher, Cafeteria Substitute, Orchestra Teacher, .5 Math Teacher, .5 English/Language Arts Teacher, Computer Teacher, Physical Education Teacher, Interpreter for Deaf, Deaf and Hearing Impairment Teacher, Family and Consumer Science Teacher, SPED Life Skills Teacher, English/Language Arts Teacher, Science Teacher, English Teacher, 3rd Grade Teacher, 5th Grade Teacher, Athletic Trainer, Mathematics Teacher, English Teacher, FCS Teacher, Diagnostician, 4th Grade Teacher, Speech Language Pathologist, Physical Therapist, Gifted Teacher, and Life Skills Associate. Dexter Consolidated Schools had employment opportunities posted on this review date that included Pre-K Teacher, Elementary Bilingual Teacher, Substitute Teacher, and Bus Driver. Check for new listings. Lake Arthur Municipal Schools had been hiring for the positions of Custodian and Instructional Assistant. Visit their site for current vacancy listings. Contact Hagerman Municipal Schools at 575.752.3254 to inquire regarding employment opportunities. Located in Roswell, the New Mexico Military Institute offers a rich history and tradition of educating tomorrow's leaders through a program of strong, challenging academics, leadership preparation, and character development. Here you can find employment opportunities such as Police Officer, Various Athletic Coaching Positions, Lifeguard, Golf Course/Pro Shop Staff, Custodian, and JROTC Instructor (Army Junior Reserve Officer Training). Eastern New Mexico University-Roswell (ENMU-Roswell) provides high quality, affordable education and life-long learning opportunities. Eastern New Mexico University-Roswell periodically posts employment listings for various faculty and support staff positions. Roswell Chaves County Economic Development is a great resource to learn more about top employers, demographics, workforce information, and provides free expert support during a business expansion or relocation. Roswell Daily Record Classifieds section has employment listings. The Craigslist Roswell Jobs page is a good resource to browse a variety of listings. The Bureau of Indian Affairs may periodically hire for various positions in the Chaves region. This Worklooker Otero County directory includes featured employers such as Inn of the Mountain Gods Jobs, Lowe's Home Improvement Jobs Alamogordo, White Sands Mall Retail Jobs, First National Bank Alamogordo, Burkes Alamogordo, Otero County Job Openings, White Sands Missile Range Jobs, Holloman Air Force Base Jobs, Gerald Champion Regional Medical Center Jobs, Casa Arena Blanca Nursing Center Jobs, Mescalero Indian Hospital, Alamogordo Public Schools Employment, Tularosa Municipal Schools Employment, Cloudcroft Municipal Schools Employment, Alamogordo Daily News Classifieds Jobs, USAF NAF Jobs, Alamogordo Chamber of Commerce, and more.